Have you heard that ‘less is more'? Sometimes you might need busy,shiny and bling bling type of accessories. However, in many cases people would appreciate simplicity of a design. 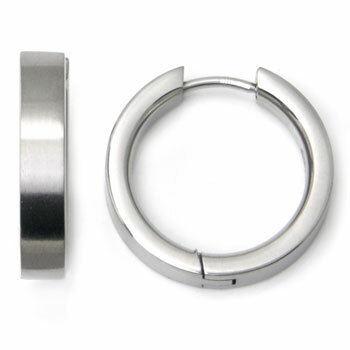 These titanium earrings have a sleek, trendy design and a smooth surface which brings you the proper attention.